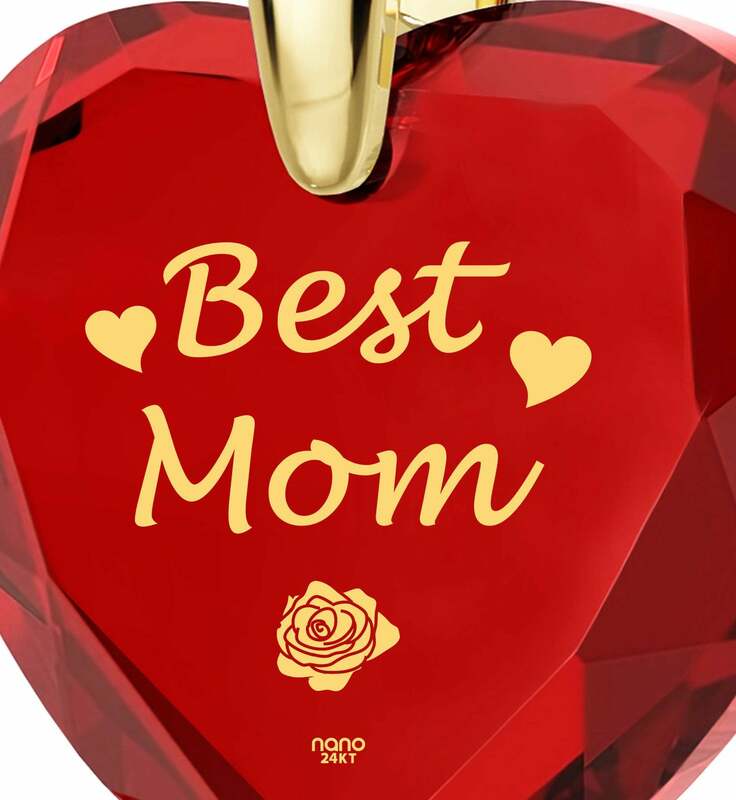 She’s the first person who loved you unconditionally and will do so even when others falter. 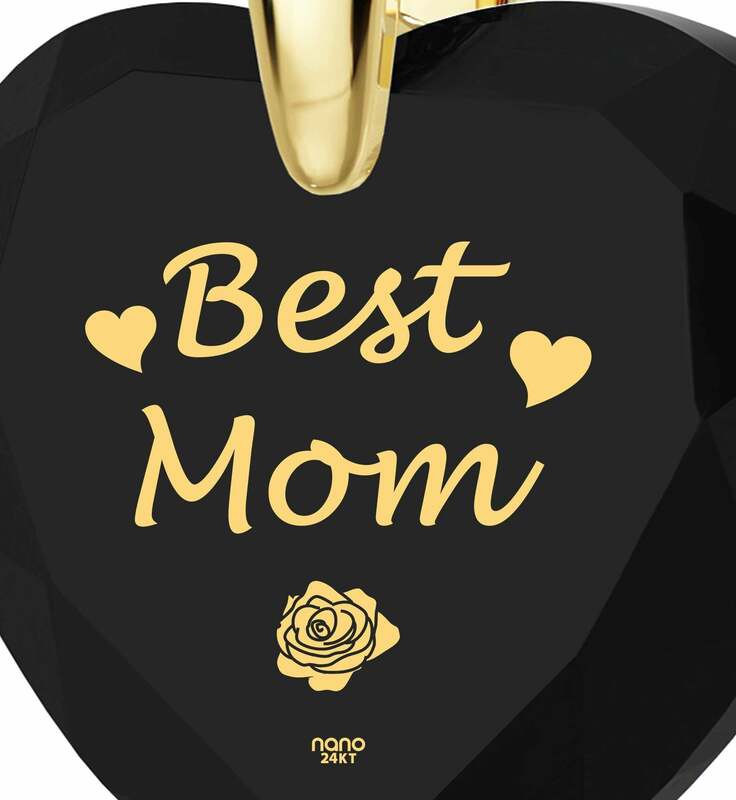 For everything that she’s done and for the wonderful person she is, surprise her with a top gift for mom that’s not only dignified and stylish, but carries with it a deeper significance. Regardless of whether you’re looking for the best gift for Mother’s Day or an exceptional 50th birthday present for her, we’ve pulled out all the stops to make this 14kt gold necklace a refined blend of modern design and innovation that’s bound to spark conversations and make her stand out among her friends. 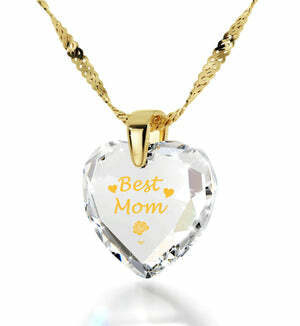 The quality of its make will be clear to her as soon as its dainty golden chain touches her neck. 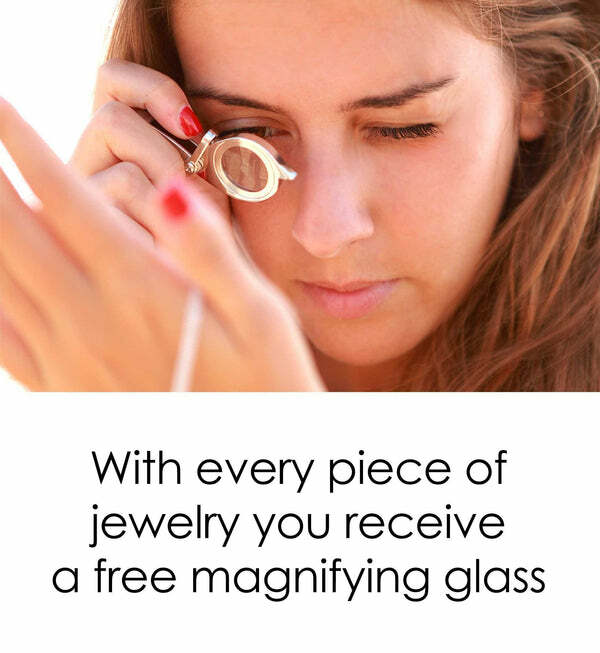 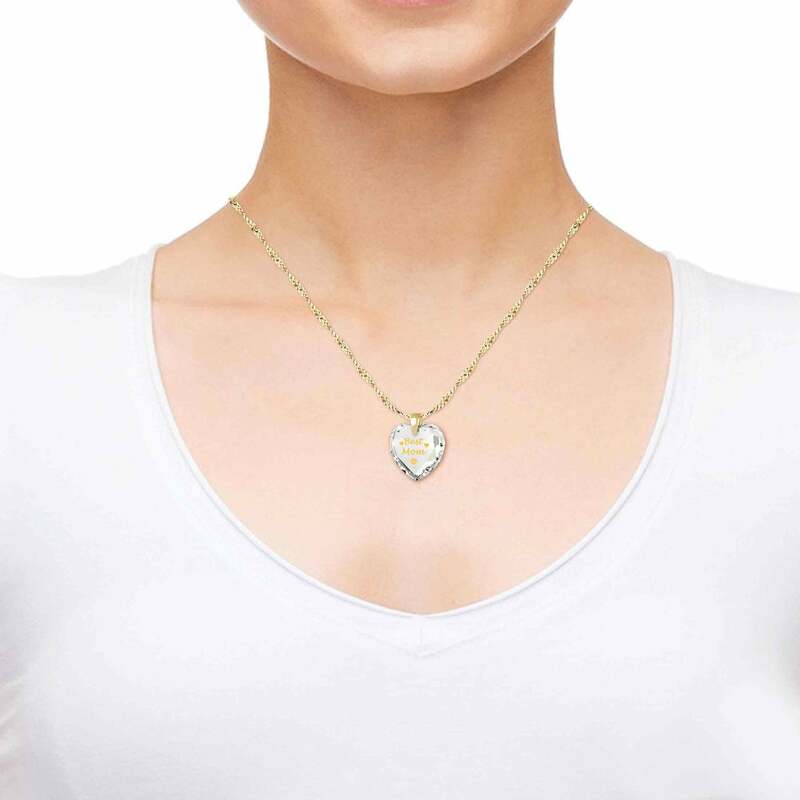 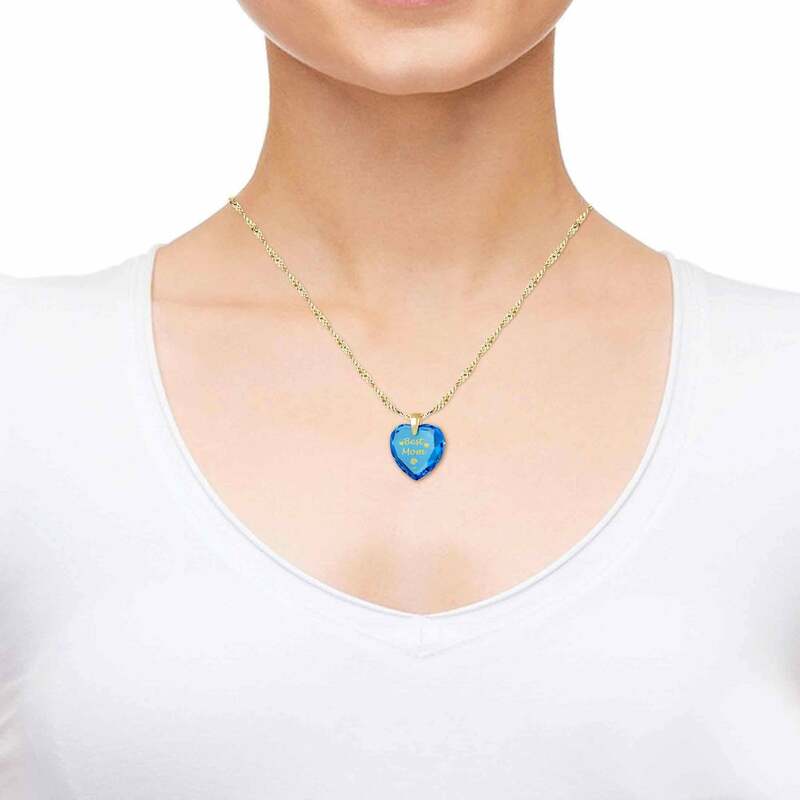 Even more important is the lustrous heart-shaped cubic zirconia gem it suspends that is inscribed with pure 24k gold. 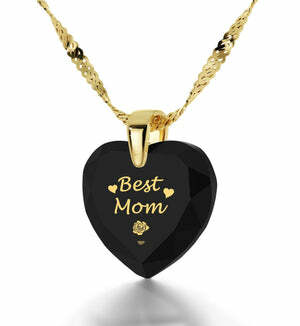 The inscription will remain eternally, just like her love for you. 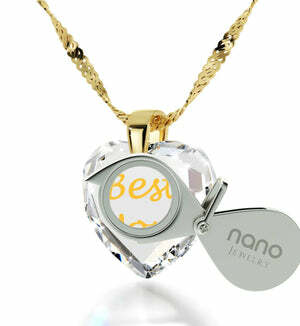 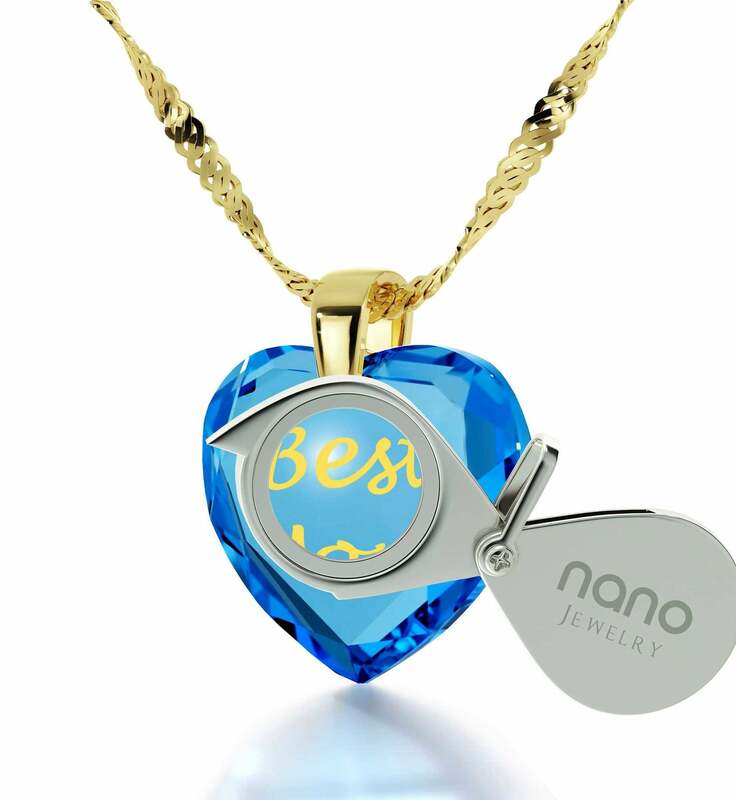 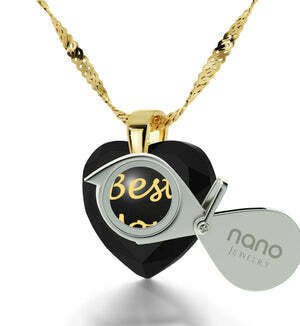 Even better, no one other than Nano Jewelry can put so much detail into such golden script, making it a genuinely one-of-a-kind necklace and worthy of her attention, even if it is a gift for the woman who has everything. 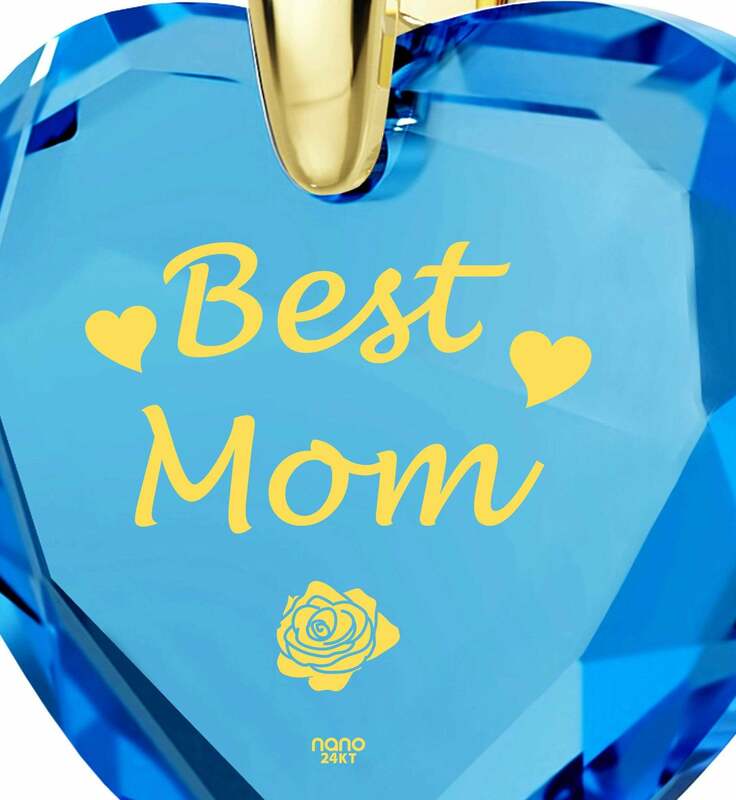 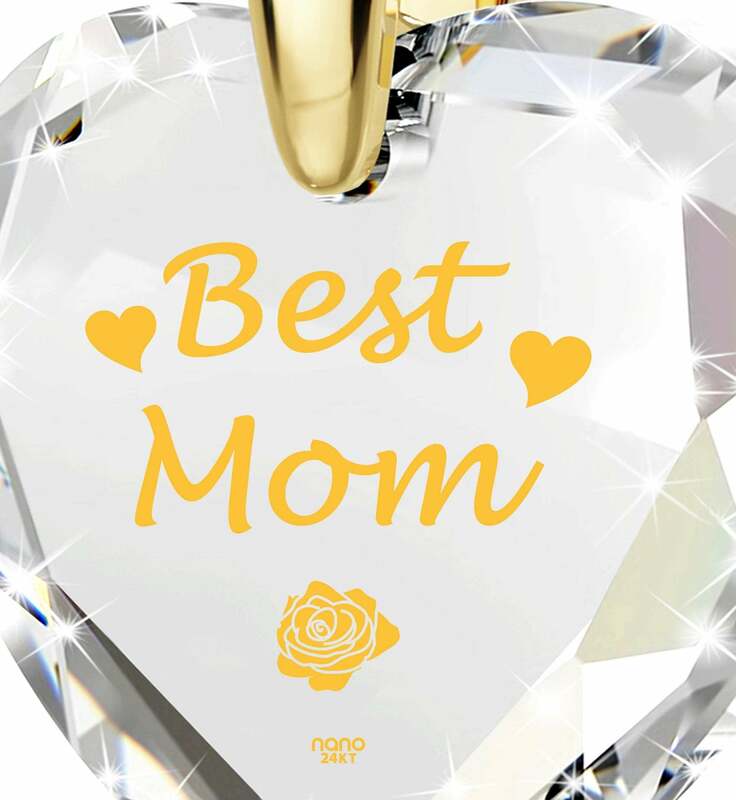 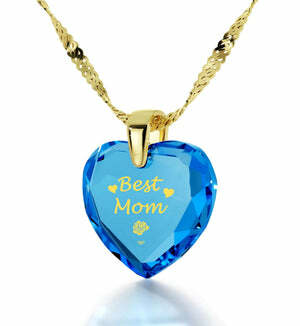 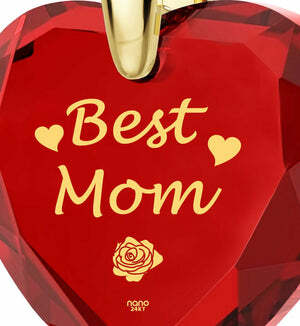 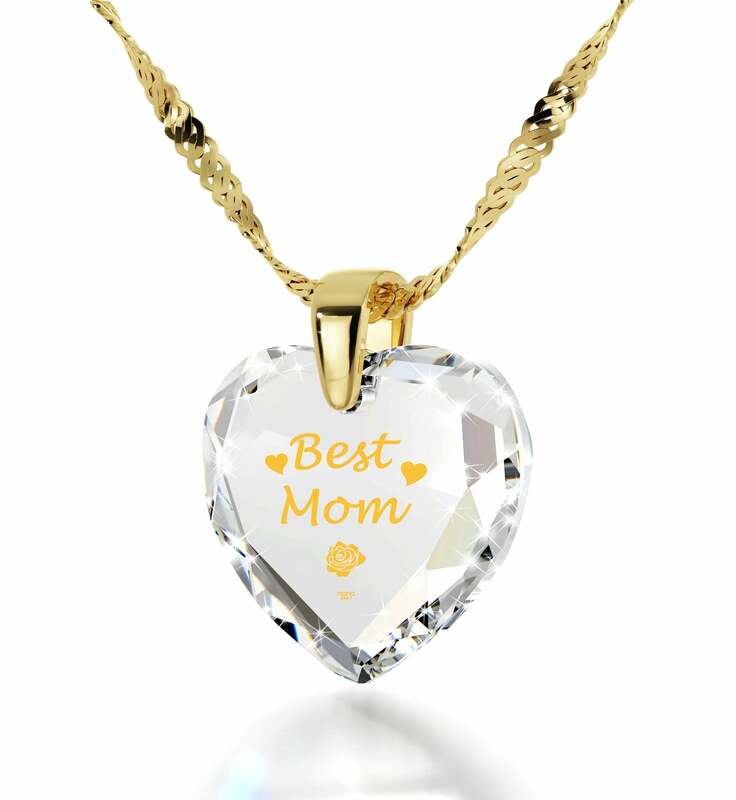 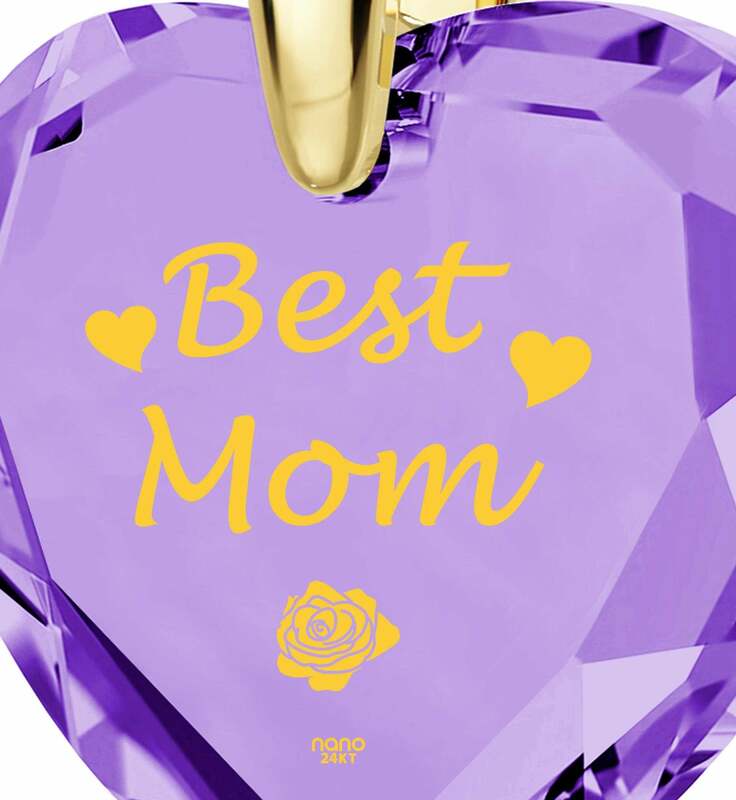 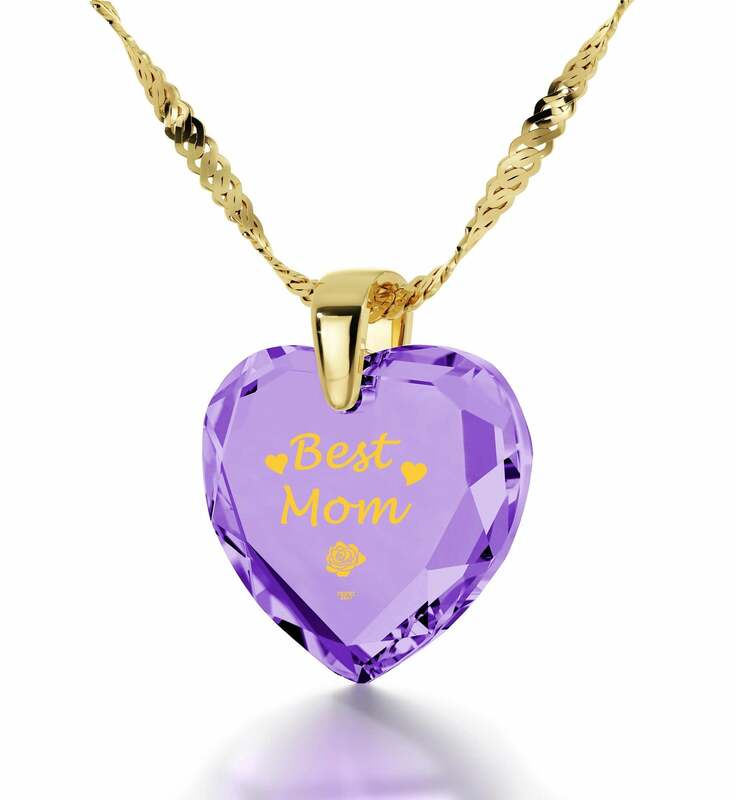 Short and simple yet oh so powerful, the words “Best Mom” are inscribed, along with two small hearts and a beautiful golden rose. 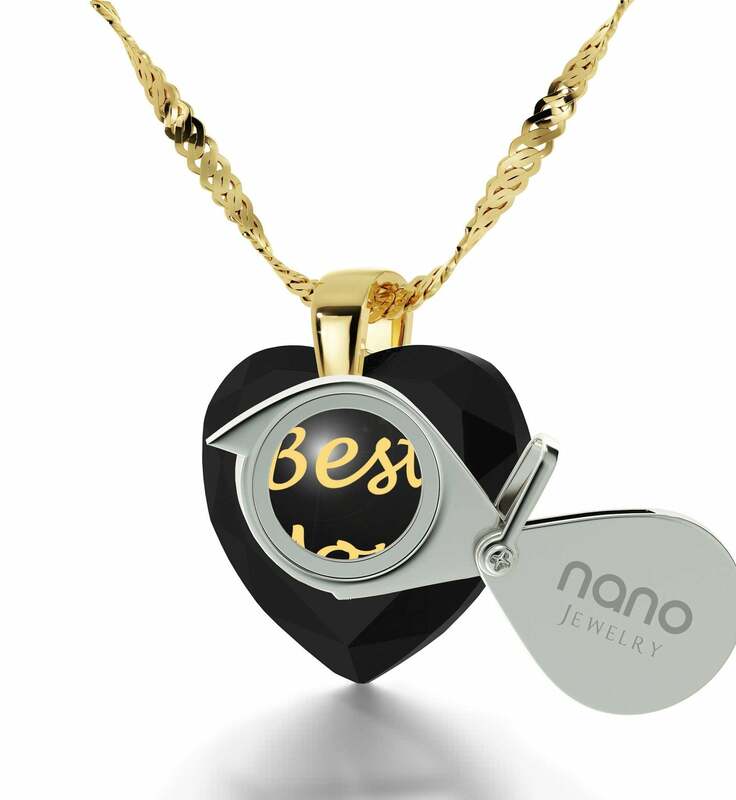 Discovering every detail of this intricate design will be fun and exciting since a custom-made magnifying glass accompanies the necklace. 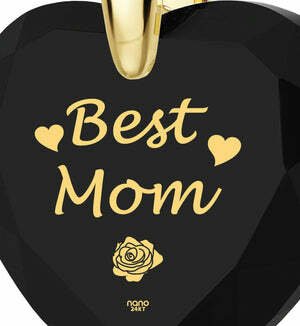 To make a good gift for mom even better, we’ve placed them both inside an exquisite box that will add to the occasion. Just make sure you have a few tissues handy when she opens it up, as the treasure inside might cause for a very emotional moment.